Hi. It’s Australian Traveller magazine here. 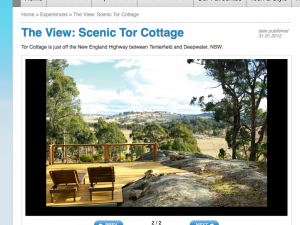 We saw an image of the view from Tor Cottage and we want it for our special ‘The View’ section. Would you mind sending me some information? Thank you. It will be published next month. We’ll send you a copy. Have a good day!